volleyball players. It was here that her volleyball career took shape. played in both Olympics, leading Kenya in scoring and earning recognition from foreign commentators. signed by Vileo of Romania, Unic-Romania and Panellinios (Greece) before going to her last club in Turkey. 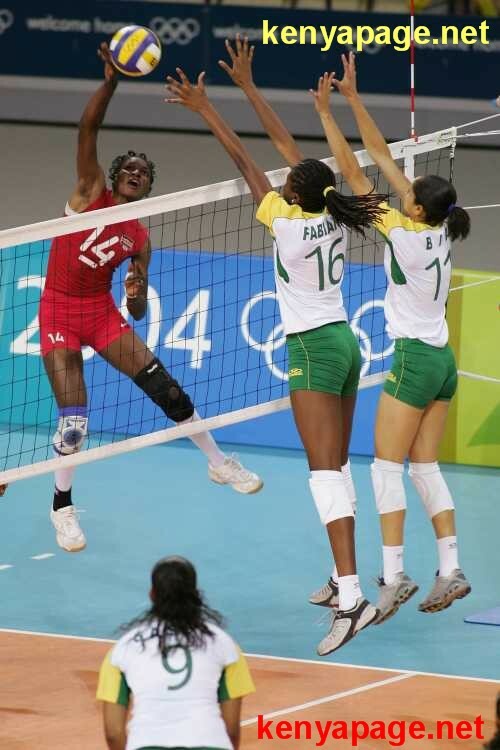 She finished her volleyball career at KCB, the club where she started. could win a match for her club and the national team when all seemed lost and the technical bench along with fans had surrendered,”. This entry was posted in Kenya's top sportsmen and women, Uncategorized. Bookmark the permalink.